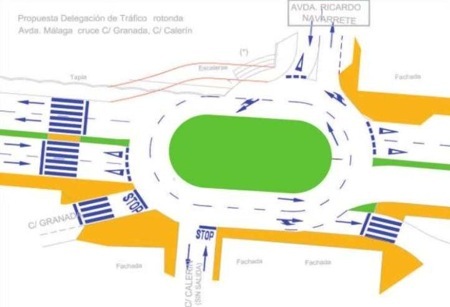 Ronda’s councillor for traffic, José Morales García, has announced plans to ease several bottlenecks in the city with the creation of new roundabouts in notorious blackspots on Avenia Málaga, Avenida Andalucía, and Calle Guadalhorce. Over the last few months three new roundabouts have been created, in Plaza de Espana, at Parque del Sur at the entrance to the Dehesa suburb, and on Calle Genal and Calle Fernando de los Rios in the Poligono at the corner nearest the Aldi and Supersol supermarkets. The new roundabouts have been positioned in areas that frequently create traffic problems, requiring Policia Local to direct traffic, and in worst case scenarios causing vehicle accidents including several serious injuries and a pedestrian fatality last year. Avenida Málaga is to receive four new roundabouts, the two most needed being at the intersections with Calle Granada and Avenida Ricardo Navarette, and the intersection with Avenida Serranía. The corner of Avenida Andalucía and Avenida Martinez Astein in front of the railway station will also receive a roundabout, as will the corner of Calle Genal and Calle Guadalhorce in the poligono near the hotel Berlanga. In October 2009 work started on refurbishing the iconic Plaza de España between Calle Armiñan and Virgen de la Paz in Ronda’s Mercadillo district. The project is scheduled to be completed in February 2010 and includes a new traffic roundabout to ease congestion and remove the need for Policia Local to control the intersection. 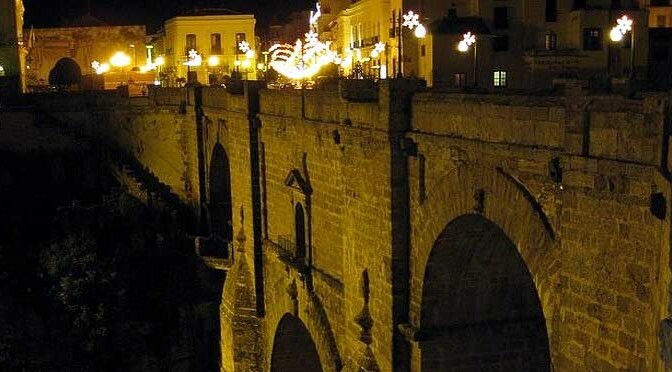 Costing 1,070,563€, this is one of the most significant projects undertaken in Ronda as part of the Zapatero government’s economic stimulus package. Work in Plaza de España sees the old broken paving stones replaced with thick granite that should stand the test of heavy foot traffic. In addition the statue of Antonio de los Ríos Rosas, a prominent Ronedeño politician of the 19th century, has been relocated about five metres into the centre of an oval shaped roundabout, and will be surrounded by small shrubs and flowers.